Thanks to all authors for the hard work. So what exactly is this?? 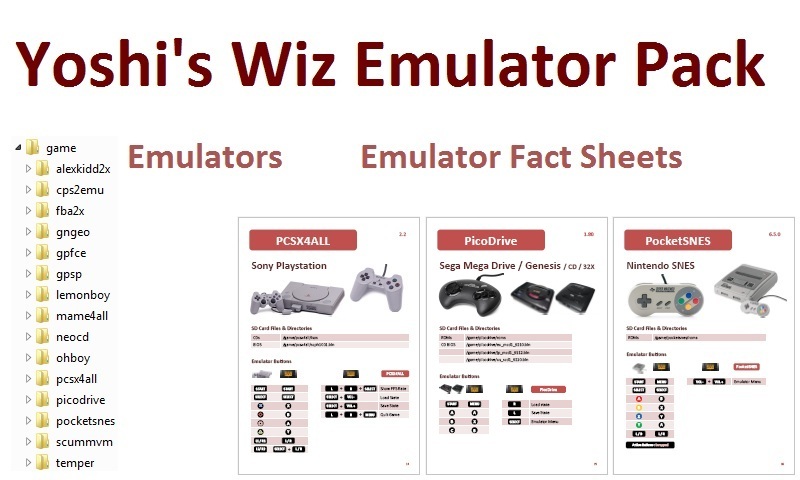 Are these just the same old emulators just all rolled up into a convenient download?? Or are there updated emulators in this pack? I can't tell. Just one package with the most recent versions. The fact sheets show the original hardware and pad with the button mapping. Its a good idea for newbs for sure!